Precious Paws Pampering is an All Breed Dog grooming and Cat grooming service provider, founded in 1997 and is proudly operated by it's owner/certified pet stylist (groomer) - Carolyn Bodden. Our many clients can reach out to us by text or WhatsApp or Email, 24-hours a day and enjoy timely scheduling of their pet(s) grooms. Our groomer is a multiple pet parent and is eagle eyed, paying great attention to the safety, well-being and continued longivity of your pet. Specific attention is directed to the discovery & treatment of pet(s) with hosting pest (ticks/fleas); her hands are extended to your pets lovingly and compassionately always; in addition to the styling of your pet’s coat, her hands will find the time to discover underlying obscured bumps & growths that may have evaded you; findings/discoveries are always communicated to you in a debrief following the completion of a groom, as it is our belief that early discovery and with the appropriate veterinary care and treatment you will be able to enjoy a happier, healthier life together, and this is what Precious Paws Pampering truly desires for you. From your hands to our groomer's, you can be assured that in whatever condition that your pet(s) are presented in, they will always be embraced and handled with due care and attention. 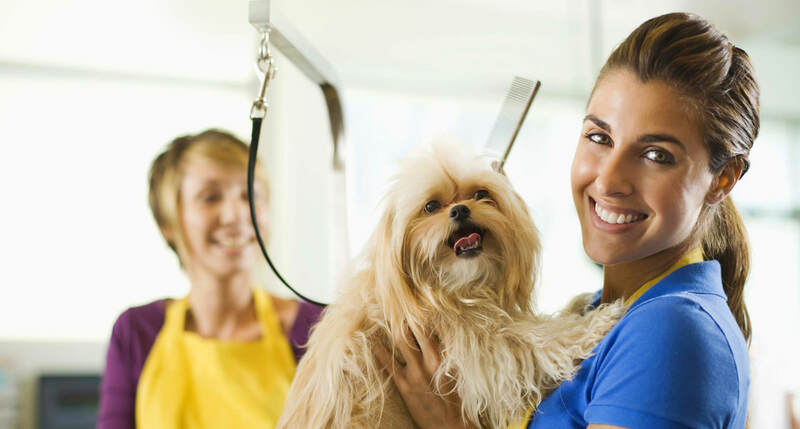 We are confident that once you have utilized us and you think of pet grooming time after time, Precious Paws Pampering will be your ultimate choice. Carolyn Bodden – Born in Grand Cayman in 1970. 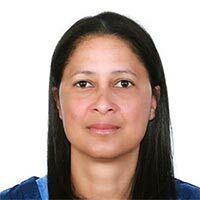 Has lived in the Cayman Islands all her life with the exception of brief off Island certification programs. She obtained her Pet Stylist certification at Pampered Paws Grooming Academy in Toronto, Ontario, Canada in 2002. Her occupation these days is a big stretch from her former life as an aviator of 19-years. She held positions such as an Approach Air Traffic Controller, Commercial Pilot, and that of an Aviation Flight Inspector. Does she miss that former life? Her answer to that is, “not much; I think of it as a past life”. Carolyn can be found close to home most days as that is where her heart is. She seldom ventures away from her beloved 6-dogs and 3-cats all ranging from small to large and various ages. She is a business owner, multiple pet parent, certified pet groomer, former aviator, animal well-fare enthusiast, and has recently been married. Carolyn hands are full, however she juggles it all to best of her ability. Her favorite quote is “Live & Let Live”.